Anyhow, in one of the lessons, Kristina talked about how she is inspired by craft supplies in and of themselves. So when I was finishing off a birthday card I was sitting there thinking to myself “Hmmm, this really needs something. 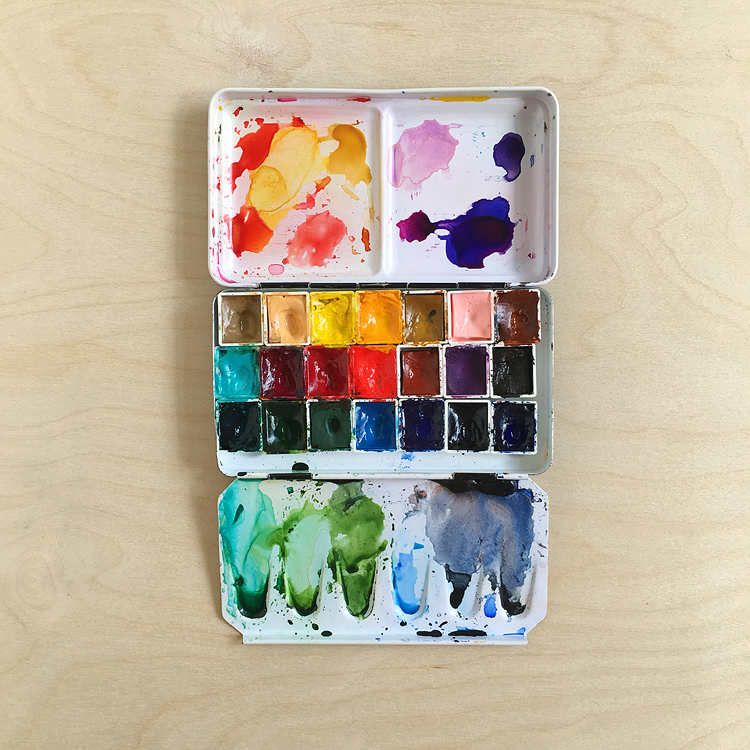 I sure wish I had a wood veneer heart to go with these Studio Calico birds…” and then CLICK! a light bulb went off and I decided to try and make my own. It was really super easy! Then I wanted to make the hearts as thick as the birds, so I cut two sets of hearts from some chipboard that I’d saved from a package of 12×12 paper. (I like to save this chipboard, it always comes in handy!). I found that by using a metal shim adapter plate the die cut through the chipboard and the birch paper like butter. WOO! Of course, I had to add a little washi to the card too, ha! (Love this set of traditional Japanese patterns where the lacy gray washi came from.) And I also love the neon purple with all of the neutrals — I got that idea from my neon pinterest board. If you’d like to see some more posts where I’m inspired by something you can check them all out here. There’s not very many yet — I should do more! Awesome. I have wood. I have chipboard. I’ve been making my own “thick” elements, but not out of wood, yet. Thanks for the great idea! Your hearts turned out great! 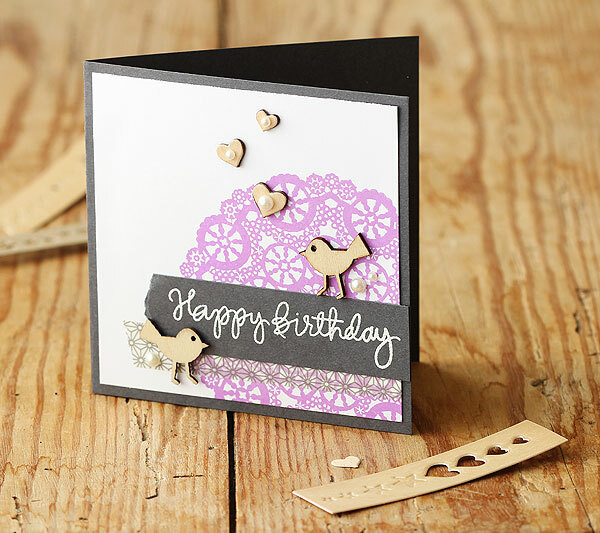 They’re the perfect finishing touch to your beautiful card! Totally cool! You’re a genius! Oh how gorgeous :) I completely bypassed getting the purple neon ink – I feel a re-consideration coming on – LOL! 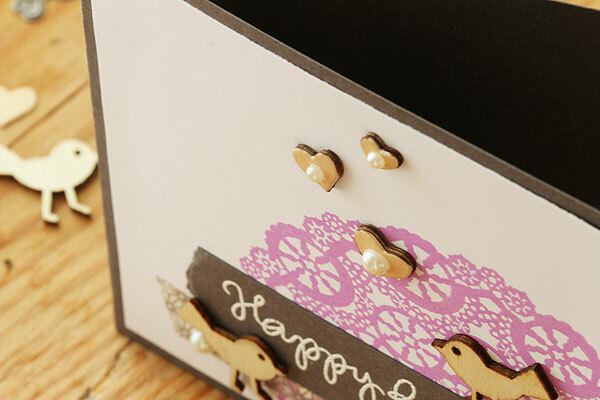 I often make my own “chipboard like” embellishments and have been wishing for some that looked like wood veneer! 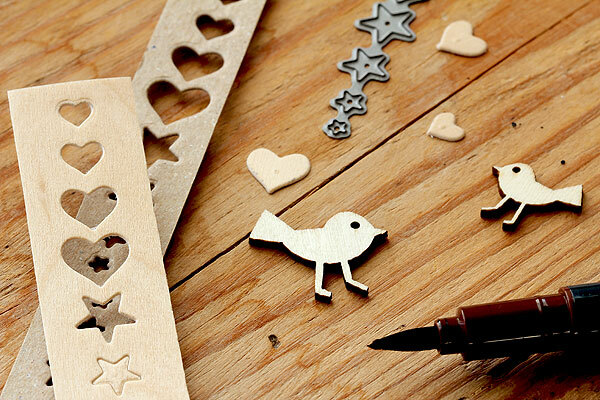 I don’t have that paper (yet), but I do have a wood grain stamp and a wood grain embossing folder! I’ll have to see what I can do because this card is just so cute and gives me lots of ideas with which to play!!!! Thanks. 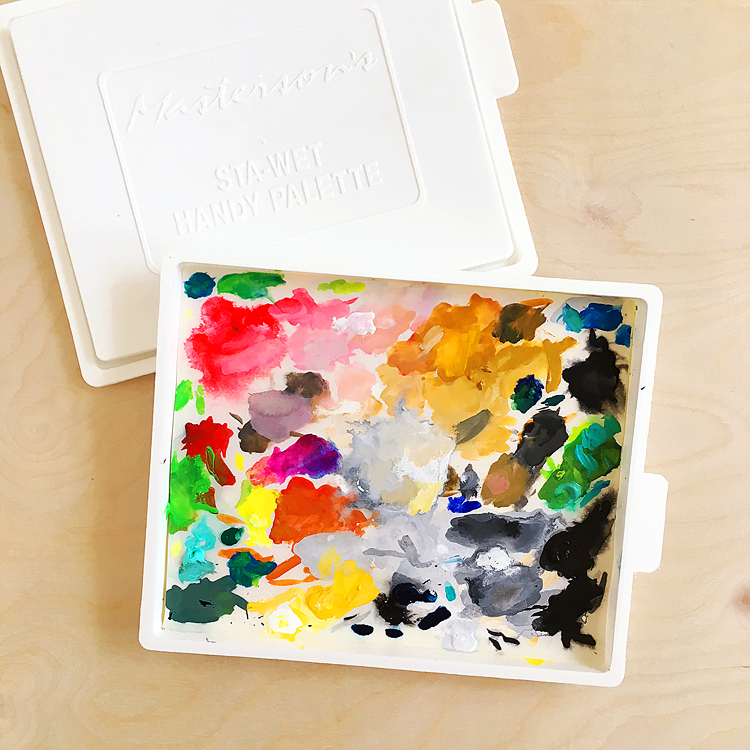 I always find inspiration on your blog! Cute, cute, cute! Love your birch paper hearts!